There are 2 important pieces required to stream it through the earpiece. Certain devices and Android versions only require 1 of the 2, but using both seems to be the best bet. The first is to use the AudioManager service from the current Context and set SpeakerphoneOn to false as well as set the Mode to Mode.InCall. The second is to take the MediaPlayer object created and set the AudioStreamType to Stream.VoiceCall. To go back to playing through the full speaker, revert the audio manager Mode to Normal, and set SpeakerphoneOn back to true. Be sure to also set the MediaPlayer.SetAudioStreamType with Stream.Music. 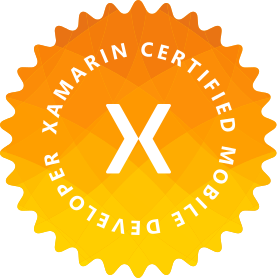 Next Next post: Xamarin.University – Guest Lecture Available for Free!